We’d love your help. Let us know what’s wrong with this preview of Hearts of Ice by A.J. Gallant. The Dracula Hearts trilogy has transformed into a series. This is book #4. 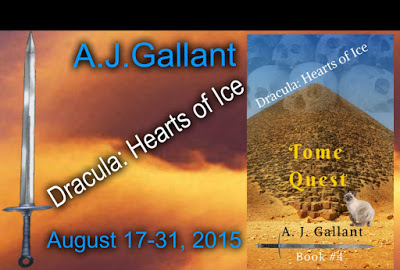 Dracula and Jenny head back into the newly discovered pyramid is Egypt where danger abounds. Is Dracula's three-year-old son as powerful a wizard as his big sister? To ask other readers questions about Hearts of Ice, please sign up. 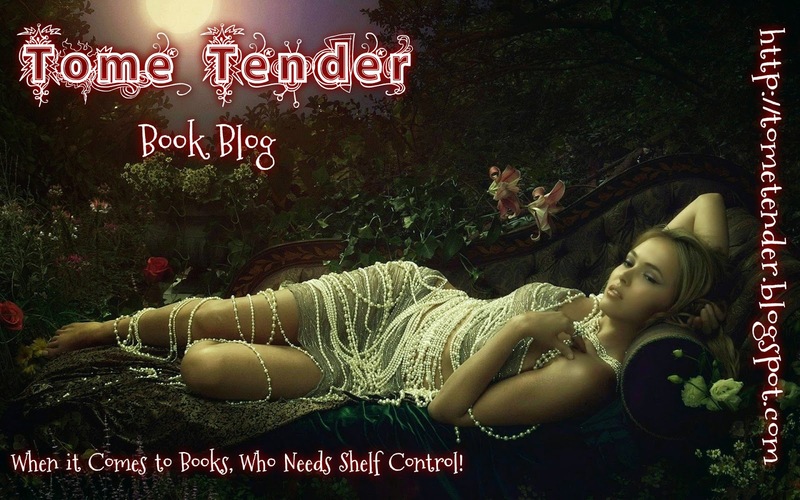 Like a good, quirky Vamp tale that will make you smile? Do you like your vampires, old, powerful and a little mysterious? How would you like Drac as a good guy, a dad or a friend, can you picture it? Did you know Piers Anthony; the author is a close friend of Dracula’s? Dracula’s three-year-old son is in danger; someone wants him for his powers. 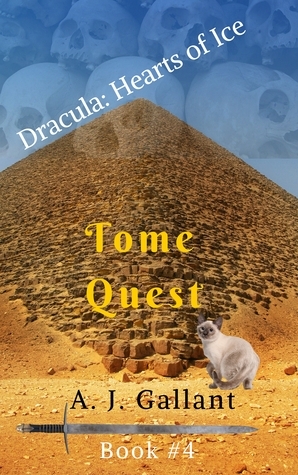 Drac and friends are searching an ancient pyramid for the tomb of a vampire; will they live to find it? Is Piers a little too into “taking souvenirs” to be of much help? Is he thinking of the plot to his next book? How did everyone get split up? There is evil magic in this tomb and there may be a battle of dominance for the contents of the tomb, winner takes all, losers die. Once again, A.J. Gallant makes things just quirky enough to have a few chuckles and to relax into this tale. Seriously, we are in the company of magicals and blood suckers, a little comic relief is welcome! Is Moon Diamond going to find his master? Will Drac’s son get himself free? Who was supposed to be watching him, anyway? Fun, quirky and a little off beat, there are more to these vamps than fangs, capes and an affinity of blood. A.J. Gallant never ceases to surprise me with how his mind works and how entertaining his words can be. Looking for the lighter side of the darker side of the street? Ready to see Dracula as a family man? Pack you gear, we’re off to Egypt! I received this copy from A.J. Gallant in exchange for my honest review.